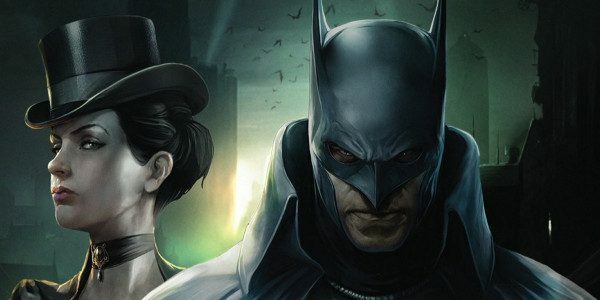 Warner Bros. Home Entertainment proudly presents the Los Angeles premiere of Batman: Gotham By Gaslight, the next entry in the popular, ongoing series of DC Universe Movies, at The Paley Center for Media in Beverly Hills on February 5, 2018. Filmmakers and members of the voice cast will attend the event for red carpet media interviews and a post-screening panel discussion. The Paley Center for Media in Los Angeles is located at 465 North Beverly Drive in Beverly Hills. The screening will begin at 7:00 pm. A limited number of free tickets are available to the general public. Please note that Batman: Gotham By Gaslight is rated R for “some violence.” Anyone under 17 years of age must be accompanied by a parent or adult guardian. Fans wishing to receive free tickets to the Los Angeles event on February 5 must RSVP via email to GaslightLA@gmail.com.